Personalized educational approach, smaller class sizes, and a global perspective. 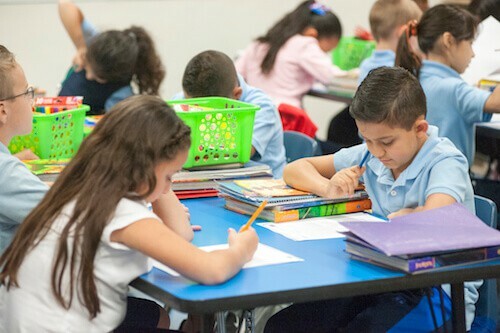 Dr. Jennifer Herrera, our founder and superintendent opened the first TIA campus in 2002 with a dream of a school with smaller class sizes led by teachers who are free to teach, and a curriculum that prepares students for today’s global marketplace. Today here at Tucson International Academy, over 500 students attend and enjoy one of the best K-12 charter schools in Tucson. First, an experience that feels personalized, wrapped in a sense of community. Second, an experience that fosters a global perspective in the heart of each student. 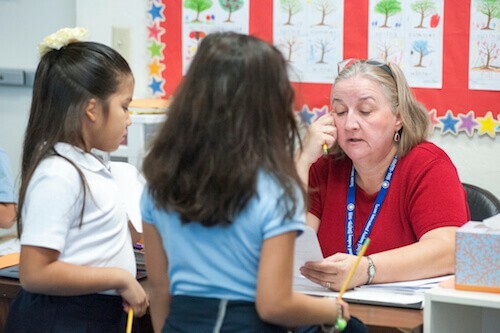 In her experience, Dr. Herrera discovered that many teachers in the traditional school setting simply don’t have enough time to be the best educators they can be. People become teachers because they care deeply about kids. However, in large school settings with ever expanding class sizes, there is never enough time to spend with individual students. Smaller class sizes and an intentional focus on community changes that dynamic. For example, there is time to ask a child about that worrisome test or to ask a parent how their surgery went last week. These kinds of personal interactions are often missing on larger more traditional, campuses. Dr. Herrera leads a school that not only allows, but also celebrates, the creative innovation that draws most teachers to be educators in the first place. Encouraging teachers to think “outside the box” gives them the opportunity to bring a fresh and personal approach to the subjects they teach. That kind of enthusiasm and excitement about learning is contagious and the people who benefit most are our students. A bored teacher is boring. But a teacher excited about the subject can ignite a love for learning in every child in the class. You want the best possible educational environment for your your child. GET STARTED TODAY!